INDUSTRY.co.id - Jakarta - The management of Taman Impian Jaya Ancol predicts the number of visitors to the tourist area in North Jakarta during Eid 2018 has increased about 14 percent compared to the Eid holiday season 2017. Teuku said the increase is due during the Eid holiday 2018, to coincide with school holidays and long leave of workers or employees. Despite claiming to be happy with the increase, the Ancol said it would also increase the number of vehicles to the tourist area. To overcome this problem, Ancol implemented an open system, because of insufficient parking capacity. "There is a simulation, the principle will be management traffic in Ancol because Ancol parking capacity is limited so we set the flow or with open system close," said Teuku. He said the open-close system was intended to prevent accumulation of vehicles and to direct visitors who use private vehicles to the parked bag that has been provided. The self-closing system, will be applied based on the specified login time. 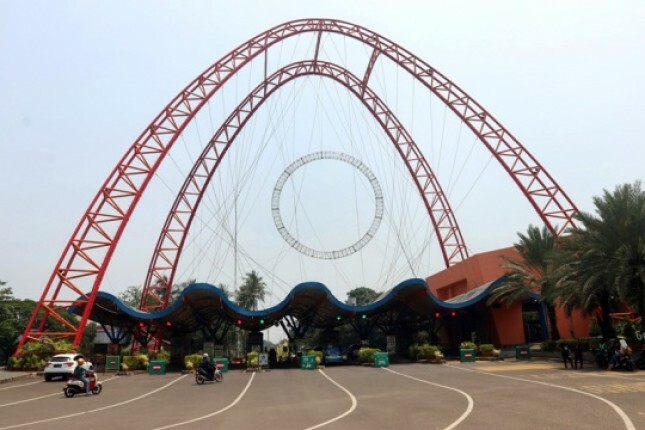 Visitors who arrive at 05.00 to 09.00 WIB will be directed to enter through the eastern entrance and directed towards the parking bag at Ancol Carnival Beach. Meanwhile, for 09.00 to 12.00 WIB, visitors will be directed to enter through the west door to the parking pockets in the south and north of Ancol. While at 12:00 until 17:00 pm, all doors will be opened. "Well, we will go out to the west gate in front of Kemayoran, so we will arrange the fast entry, the exit is fast, so as not to jam inside," he said. In facilitating the visitors during their stay in the Ancol area, the managers prepare about 40-48 shuttle bus shuttle and four 24-hour tourist trains.